There is no need to emphasize that you have to look your best on your wedding day. But besides looking great in your photos, one thing that most brides overlook is to make sure they feel comfortable in their outfit throughout most of the event. Consulting the bridal studio about the various options will help, but the decision is still up to you. Here’s how you pick the right wedding dress, accessories and shoes with comfort in mind. A lot of brides still go for the classic white or off-white gown. When choosing the gown, consider your body type, skin tone and height as well as the venue. Some layered gowns can be heavy and hot, not ideal for outdoor venues. Try as many styles and cuts as you want before you decide. Be sure to make the appropriate adjustments when trying on the gown at the bridal boutique. Your designer will also give you advice when picking the right white gown for your skin tone. If you are pale, avoid stark white gowns and instead opt for ivory or natural white. Champagne, which has hints of gold and pink, will make darker complexions pretty. Some brides in Singapore want a non-traditional theme for their outfit. Colored gowns bring out your style and personality, making your wedding even more special. Pay attention to how the color of your gown matches with your shoes and accessories. Don’t be afraid to look at designer dresses or gowns with patterns and daring cuts. It’s important to invite a friend or family member when you’re choosing your dress. They can help you decide the color and design. It can be overwhelming for some brides, so it helps if trusted people are there to narrow down the choices. Try not to go with the current trends in wedding dresses when you choose your Singapore bridal studio for wedding. The first thing you should consider is the silhouette. The wedding dress should look natural on you. It should hide flaws but enhance your assets without appearing too vulgar. A lot of brides also forget the top of the dress and focus too much on the hems. Make sure the top fits you perfectly but will still let you breathe comfortably. Don’t hesitate to ask questions that come to mind while you’re trying on the dresses. Lastly, never ever forget your budget. The color of your accessories should match or complement your dress, not outshine it. 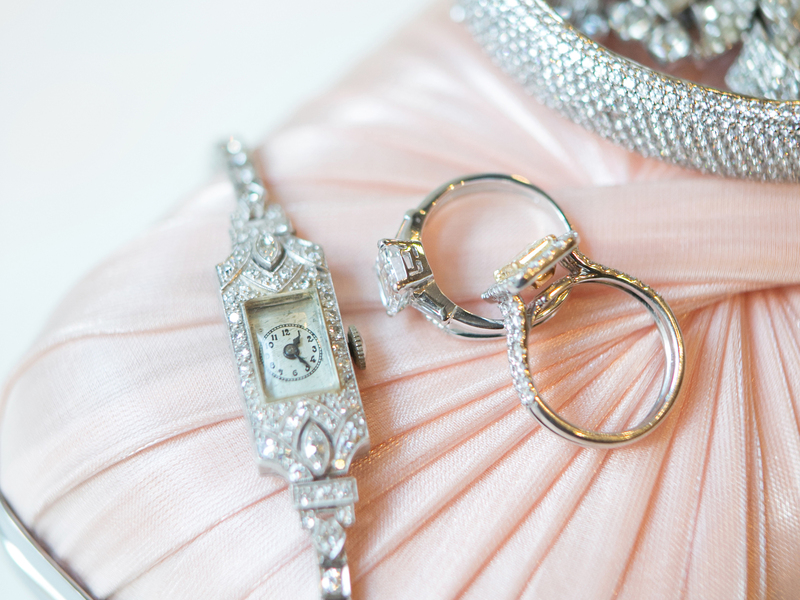 Don’t pick your accessories if you haven’t decided on your dress yet. The accessories you choose should reflect your style and personality. Tiaras shouldn’t be a priority. You can go for a fascinator or the classic veil instead. If you have two sets of outfits for day and night venues, you should also change your accessories. Be careful when choosing a necklace. Make sure that the piece doesn’t graze on the neckline or snag on the other fabrics such as your veil. Statement necklaces could go well with strapless and spaghetti straps, but not with halter and sleeves. Don’t go for big gemstones if they aren’t your thing. Pick the vintage designs if you can’t decide. If accessories are not necessary, you don’t have to wear anything besides a pair of earrings. White gold and pearls will go with the classic white and beige colors. Your hair accessories and earrings should be based on your hairdo. Don’t pick flashy earrings if they will just snag on your hair. If you’re not into veils, you could go for headbands, hair flowers, pins or vines. 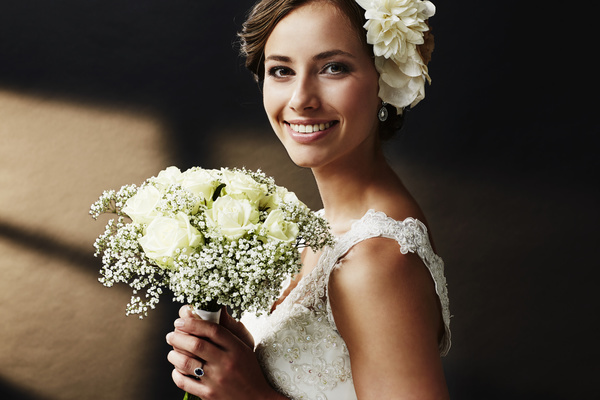 The bridal studio will help you pick the right accessories to go with your dress. The wedding dress is the highlight of the bride’s outfit, but the shoes are just as important. Choosing the right one could result in either walking with confidence on your most important day or enduring the pain for hours just to look good. Your choice of shoes will depend on your dress. Your designer at the bridal boutique in Singapore might tell you to pick the shoes after you’ve decided on the wedding gown. Some brides, however, want to pick the shoes before deciding on a gown. Others want to splurge for a customized shoes. It’s all up to you because it’s your big day. The staff at the bridal studio will be more than happy to assist you during the preparation. Never wear shoes you can’t walk in. You should be comfortable throughout the entire event. If you’re more comfortable with heels less than 3 inches, you shouldn’t experiment on your wedding day. Practice walking on high heels months ahead, however, if you decide to go out of your comfort zone. Keep in mind the length of the dress so you don’t step on the fabric when you walk. If the ceremony is going to last for half a day, go for kitten heels to avoid hurting your feet. Decide on the color that will complement your dress. Be consistent with the theme you have in mind. Statement non-traditional wedding dresses can be paired with simple shoes that don’t have a lot of details. You don’t have to automatically pick white. In fact, most brides nowadays ask the bridal boutique for colored shoes. You can even use the shoes for your other outfits after the wedding. Consider if you want peep-toed shoes or open sling back shoes. Your choice will depend on how long you’re going to use the pair during the event as well as the venue. If the venue is in a open, naturally-ventilated area, you might want to pick open-toed shoes for comfort. Don’t forget to try on the shoes before the wedding day to see if they need adjustments. You might also want to buy a backup pair in case your feet hurt or you need to go dancing.